Chin augmentation, also known as a mentoplasty, is a plastic surgery procedure that reshapes the chin either through the use of an implant or enhancement/reduction surgery to the bone. Improving the appearance of your chin can have enormous positive effects on your other facial areas and really gives balance to the overall appearance of your face and neck. Kelowna-based plastic surgeon, Dr. Brian Peterson, offers professional and quality chin augmentation services to his patients, helping them gain a more harmonious balance to their facial features. To find out if mentoplasty is right for you, this blog outlines what is involved in the different stages of chin surgery, from the initial consultation to after-care. What does a chin surgery involve? In some cases, we recommend that you invest in chin augmentation surgery after having a rhinoplasty as any change in the nose shape can shift the entire balance of your face. In this case, a mentioplasty will help realign your facial features, restoring facial harmony. What is the process of a chin surgery? There are three main stages of chin augmentation surgery: consultation, the procedure and recovery period. If you are seriously considering a chin surgery, it is important to understand clearly what each stage involves. Prior to your chin augmentation surgery, it is essential to have a primary consultation with your plastic surgeon. During this appointment, he/she will go over your medical history, assess your emotional and mental outlook and discuss the realistic outcomes of your surgery. During this appointment, you should let your surgeon know if you have any medical conditions such as high blood pressure, a tendency to scar easily or if you are at a higher risk of blood clotting. After the decision to proceed with the mastopexy is made, having discussed clearly your aesthetic goals and expectations of the surgical outcome, your plastic surgeon will be able to advise you on the costs of the procedure and any associated surgical risks. While it's important to remember that each surgery is tailored for the patient's individual goals, needs and features, here is a general guideline of what to expect from your chin augmentation surgery. The surgery is performed under general anesthesia. In a chin augmentation surgery, an incision will be made in the natural crease line beneath the chin or inside the mouth, at the meeting point of your gum and lower lip. After implantation, fine sutures are used to close up the incision. If the cut was made inside the mouth, no scarring will be visible. If your surgeon makes it beneath the chin, the scar will be minimal and usually undetectable. For chin reduction surgery, after the incision has been made, your plastic surgeon will sculpt the bone down to your desirable size. Depending on the extent of work that is required, such a procedure can take anywhere from 1-3 hours. 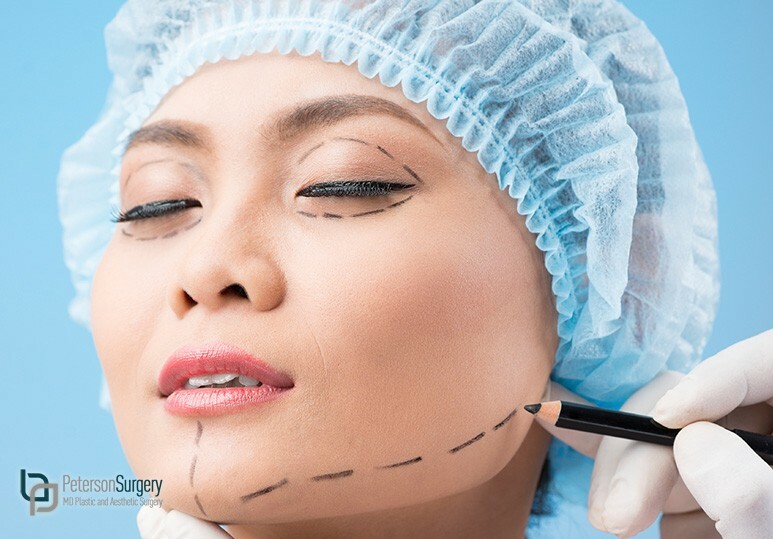 Immediately after the chin surgery, a dressing will be applied to the incision which you will have to keep for 2-3 days. Post-operative discomfort and tenderness is likely and can be controlled by prescribed medications. Remember to stick to a liquid and soft-food diet after your surgery, as chewing will be limited. Also, it is recommended that you keep away from vigorous activity for a few weeks after your procedure. You can return to your normal routine after approximately 10 days.